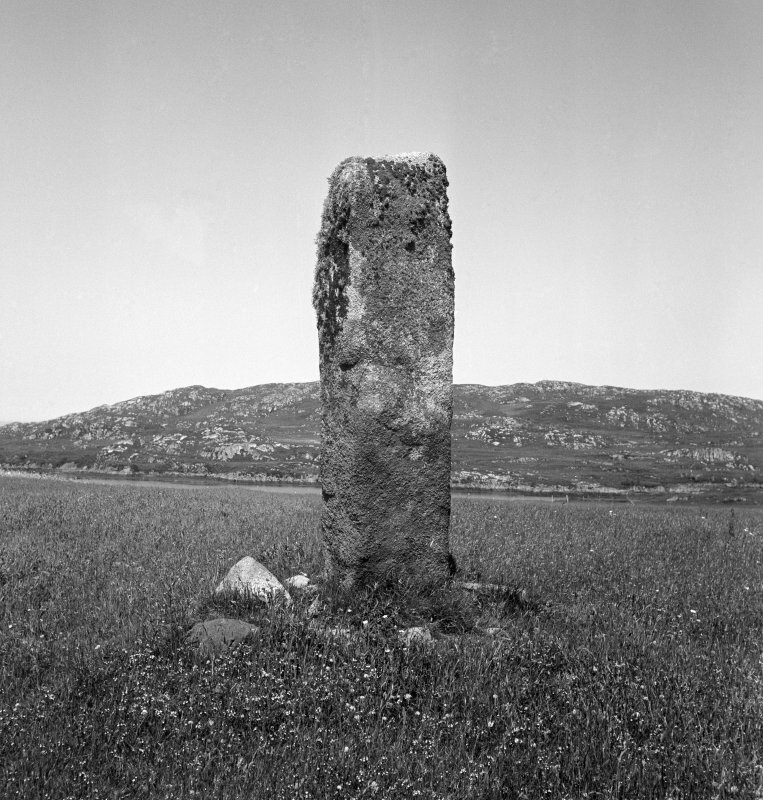 This standing stone is identified as one of a series traditionally believed to be guide-posts marking the pilgrim way from Green Point to Iona. This stone is as described though it is not certainly prehistoric and is possibly a route marker as suggested. 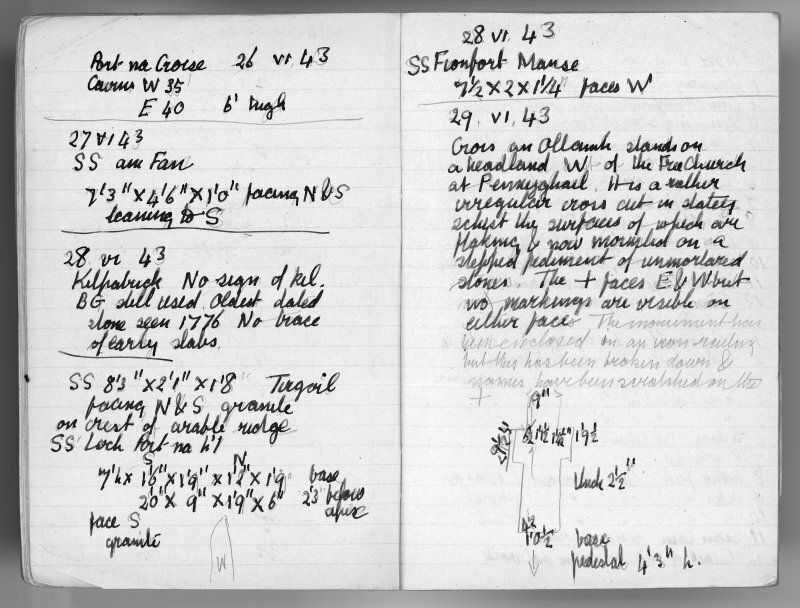 Visited by OS (JP) 15 June 1972. Standing Stone, Tirghoil: This granite monolith stands in an arable field on the N side of the road 275m NNW of Tirghoil. It measures 0.6m by 0.5m at ground-level and 2.6m in height; the top slopes downwards slightly to the NE. Some stones cleared from the field have been piled round the base. Scheduled as Tiraghoil, standing stone of prehistoric or early medieval date, visible as an upstanding feature. A watching brief was kept on 23 to 25 January 2012 during trenching for an underground power cable to replace an existing overhead line at Tiraghol, near Bunessan, Isle of Mull. The trench ran through mainly boggy ground a short distance from a standing stone (NM32SE 6) and the former township of Tiraghoil (NM32SE 40). Nothing of archaeological interest was uncovered in the trench.